Many of us have that one place, structure or location in our yard or business that needs a little magic to bring it to life. 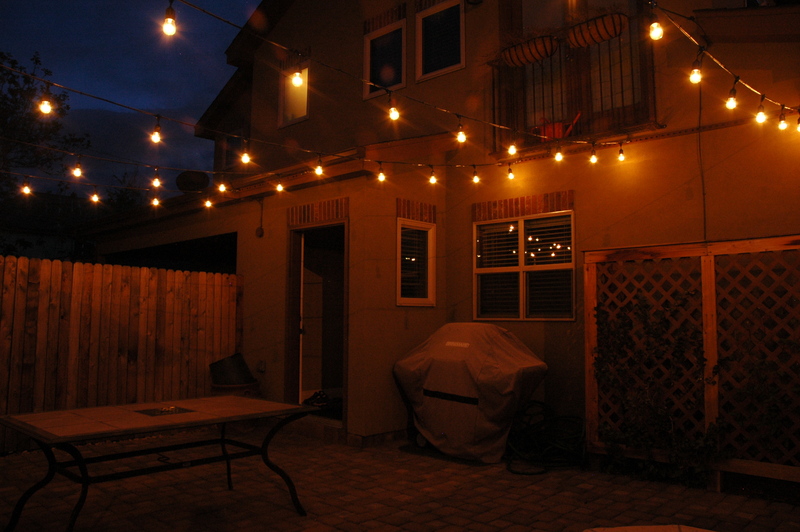 Outdoor Lighting Perspectives of Nashville has the answer and it is as easy on the wallet as it is on the eyes. Since conventional outdoor lighting techniques sometimes aren’t possible in certain setting,s we use permanent festival lighting, or what we refer to as fiesta lighting to amp up an area that needs lighting. 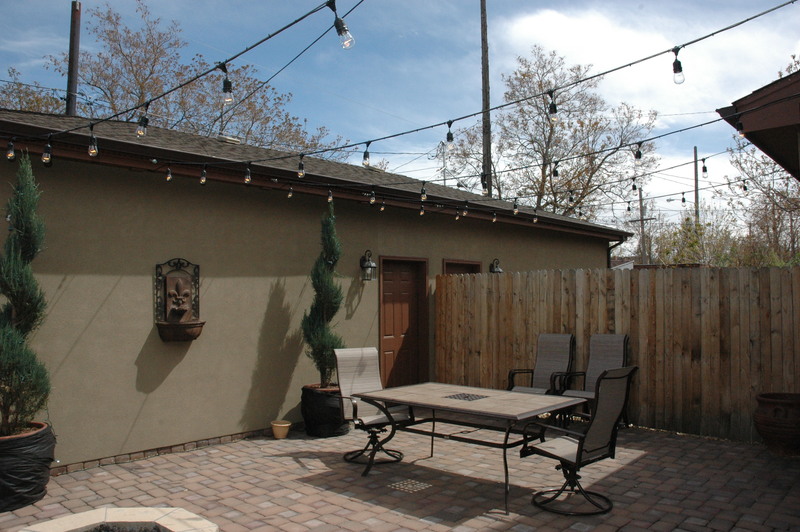 Fiesta lighting provides the perfect solution to liven up a difficult or overlooked area in your yard or a romantic courtyard at your business. 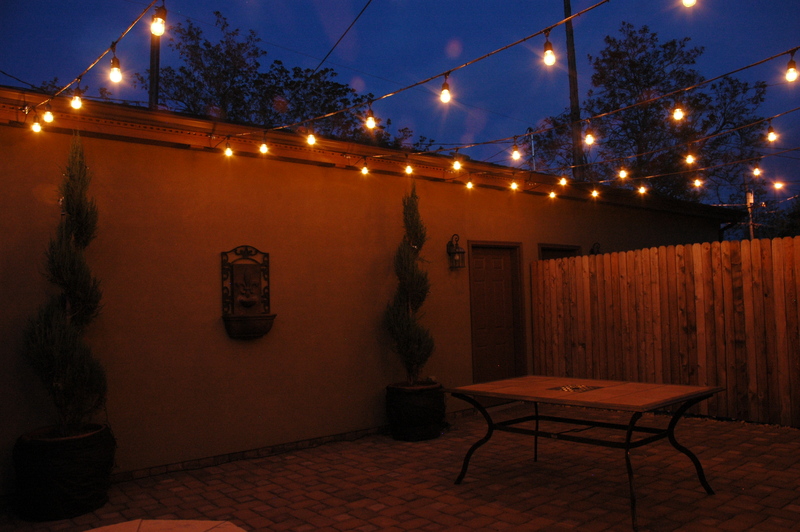 Festival lighting is also a fun and unique lighting technique that works well in courtyards, covered patios and other outdoor structures. We use multiple strands of low-voltage festival lights and string them over the span of the area we are illuminating. We use cable to support the weight of the electrical wiring when we install fiesta lighting over an area with a large span, this ensure the safety and the integrity of the system. We use commercial-grade lighting products and professional installation to achieve this cheerful lighting effect. See more examples of unique and innovative outdoor lighting effects, such as moonlighting in our garden and landscape gallery, and our holiday lighting gallery located on our website. This entry was posted in Party and specialty lighting, Permanent festival lighting for outdoor areas and tagged Lighting Automation, Liven up your Nashville outdoor space with fiesta lighting, Nashville courtyard festival lighting, Nashville fiesta lighting, Nashville holiday lighting, Nashville party and specialty lighting, Nashville permanent outdoor festival lighting, outdoor lighting Nashville, Ways to liven up a dull outdoor space in Nashville TN by outdoorlightingnashville. Bookmark the permalink.